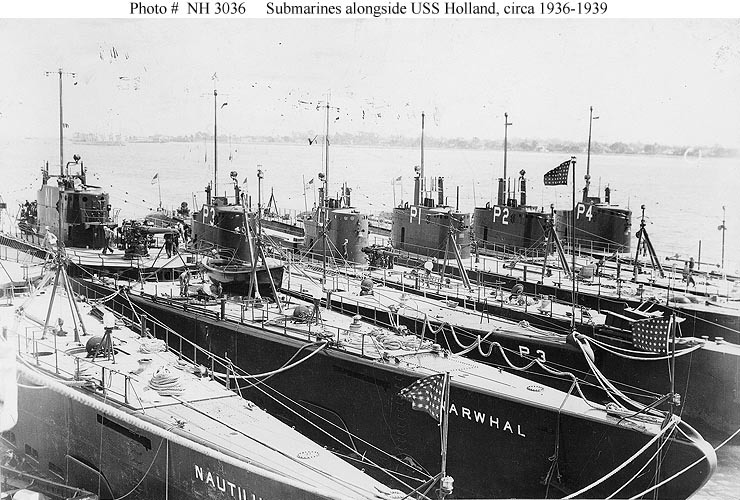 Shark Class Submarine: Laid down, 22 December 1933, at Electric Boat Company, Groton, CT.; Launched, 4 September 1935; Commissioned, USS Tarpon (SS-175), 12 March 1936; Decommissioned, 15 November 1945, at Boston, MA. 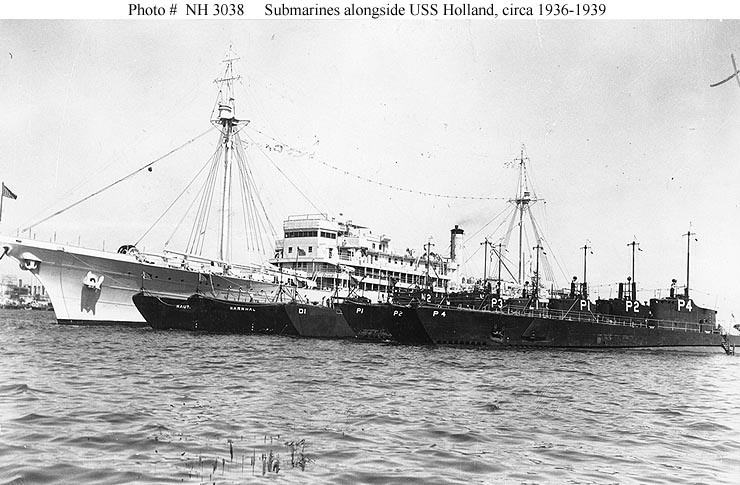 ; Placed in service as a Naval Reserve training ship at New Orleans, LA., 17 April 1947; Placed out of service and struck from the Naval Register, 5 September 1956; Final Disposition, sold for scrapping, foundered while under tow off Cape Hatteras, NC, 26 August 1957. 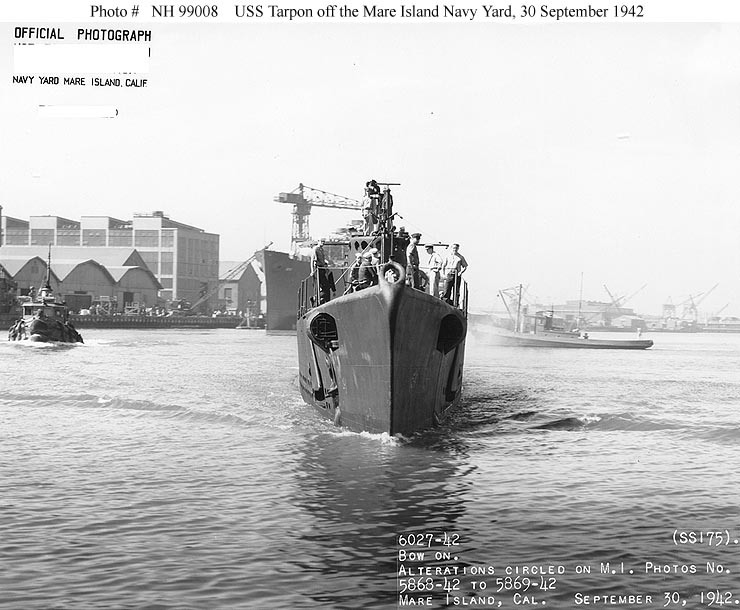 Tarpon received seven battle stars for World War II service. Specifications: Displacement, Surfaced: 1,316 t., Submerged: 1,968 t.; Length 298' 1" ; Beam 25' 1"; Draft 13' 10"; Speed, Surfaced 19.5 kts, Submerged 8.25 kts; Complement 5 Officers 45 Enlisted; Armament, six 21" torpedo tubes, (including two deck firing tubes), 16 torpedoes, one 3"/50 deck gun, two .50 cal machine guns, two .30 cal machine guns; Propulsion, diesel-electric, Winton diesel engines, HP 4300, fuel capacity 86,675 gal., Elliot Motor Co. electric motors, HP 2085, battery cells, 240. twin screws. 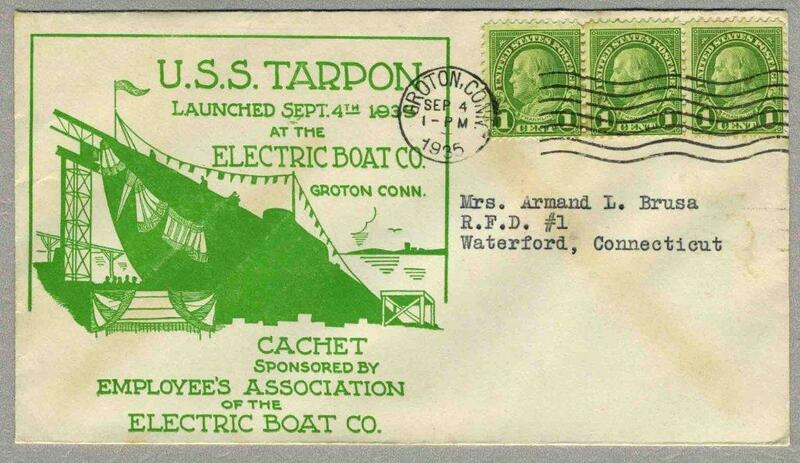 430k Tarpon (SS-175) was sponsored by Miss Eleanore Katherine Roosevelt, daughter of Assistant Secretary of the Navy Henry L. Roosevelt. 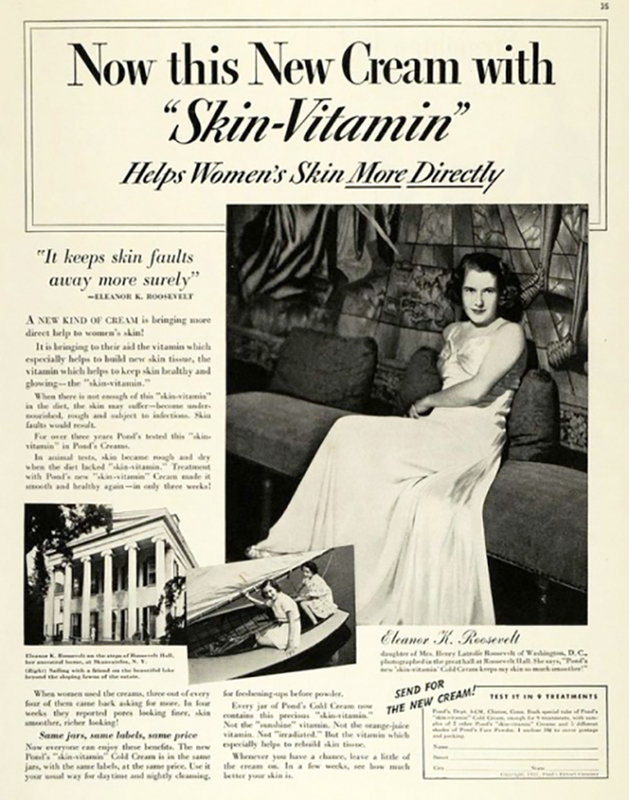 As a young woman, Eleanor Katherine Roosevelt appeared in a 1937 magazine ad for Pond’s skin cream, with Roosevelt Hall and Skaneateles Lake as a scenic backdrop. Photo & text courtesy of kihm6.wordpress.com. 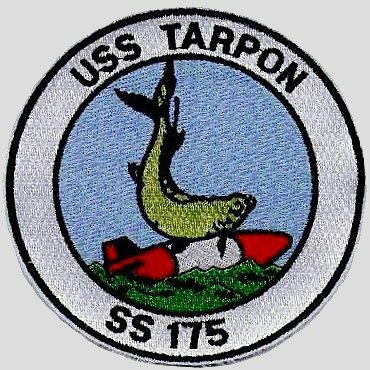 121k Commemorative post mark on the occasion of the Tarpon's (SS-175) launching on 4 September 1935. Courtesy of Tommy Trammp. 87k Senior Navy officials attend the Tarpon's (SS-175) launching ceremonies, at the Electric Boat Company shipyard, Groton, Connecticut, 4 September 1935. 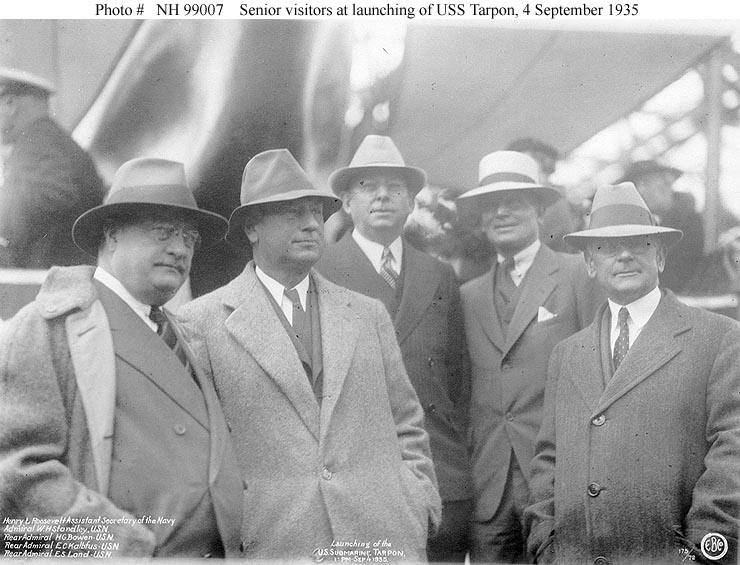 Those present are, from left to right: Assistant Secretary of the Navy Henry L. Roosevelt; Rear Admiral Edward C. Kalbfus, President, Naval War College; Rear Admiral Harold G. Bowen, Chief, Bureau of Engineering; Rear Admiral Emory S. Land, Chief, Bureau of Construction and Repair; and Admiral William H. Standley, Chief of Naval Operations. Official USN photo USNHC # 99007, from the collections of the Naval Historical Center. 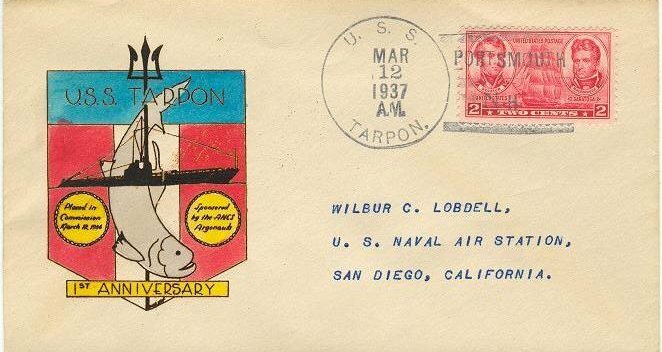 70k Commemorative post mark on the occasion of the Tarpon's (SS-175) commissioning, 12 March 1936. Courtesy of Jack Treutle (of blessed memory). 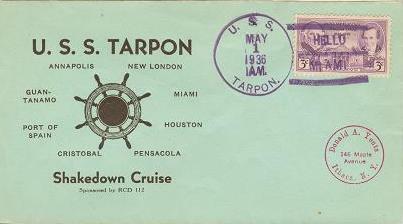 15k Commemorative post mark on the occasion of the Tarpon's (SS-175) shakedown cruise and ports of call, 1 May 1936. Courtesy of Jack Treutle (of blessed memory). 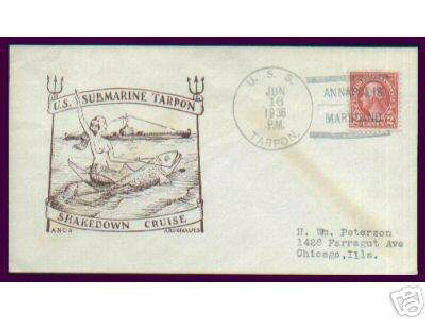 28k Commemorative post mark on the occasion of Tarpon's (SS-175) shakedown cruise, 16 June 1936. Courtesy of Jack Treutle (of blessed memory). 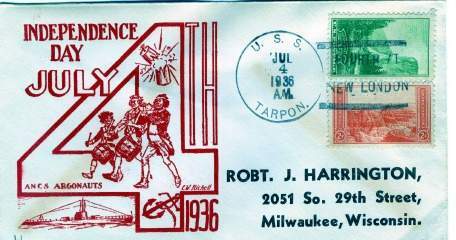 25k Commemorative post mark on the occasion of Independence Day on the Tarpon (SS-175), 4 July 1936. Courtesy of Jack Treutle (of blessed memory). 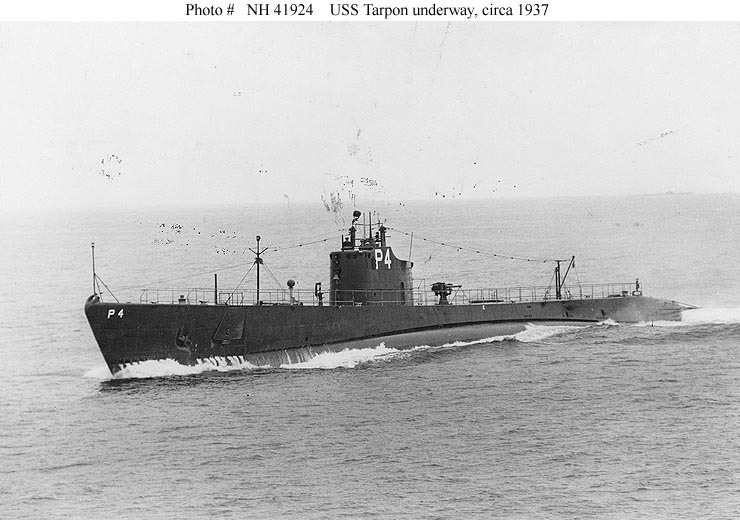 186k Tarpon (SS-175), possibly off Groton CT., circa 1936. Electric Boat photo courtesy of Darryl L. Baker. 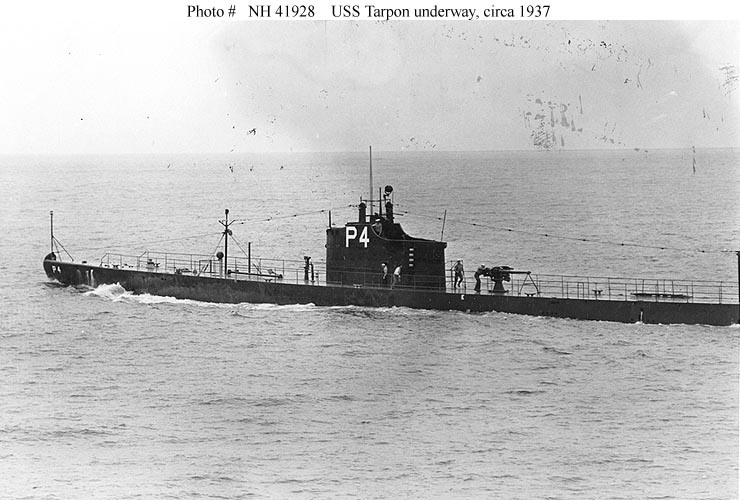 Tarpon (SS-175), marked "P4". NH # 3036, courtesy of U.S. Naval Historical Center. 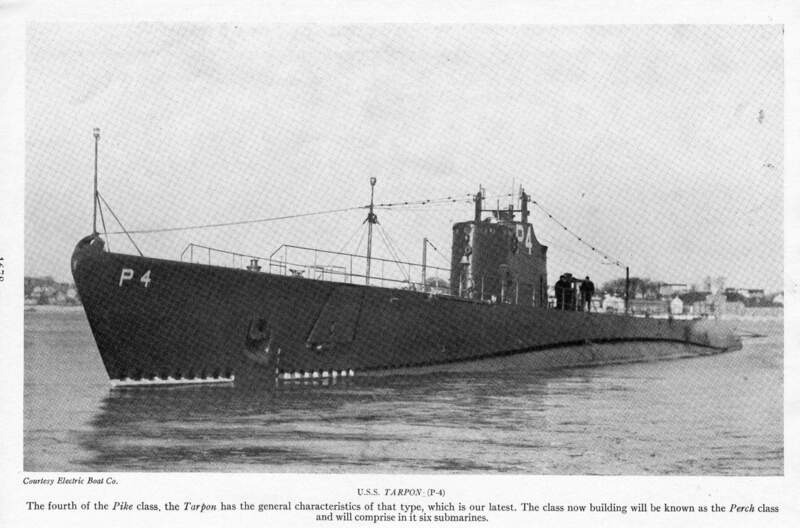 Tarpon (SS-175), marked "P4". NH # 3037, courtesy of U.S. Naval Historical Center. 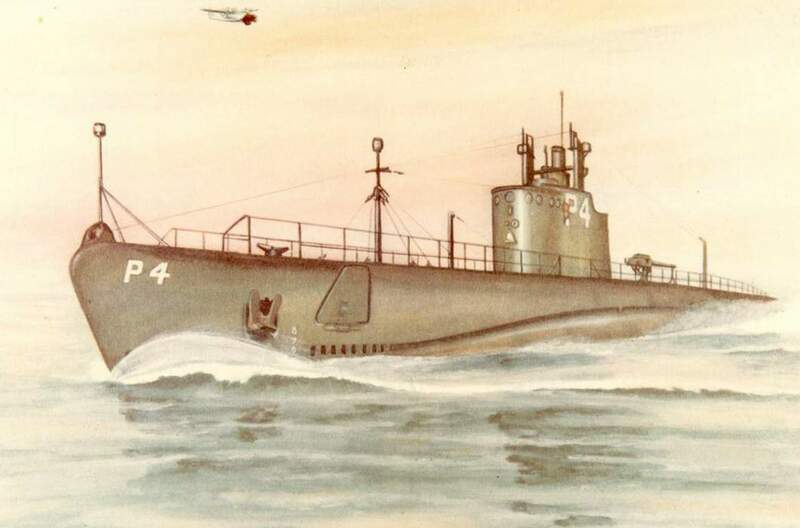 Tarpon (SS-175), marked "P4". NH # 3038, courtesy of U.S. Naval Historical Center. 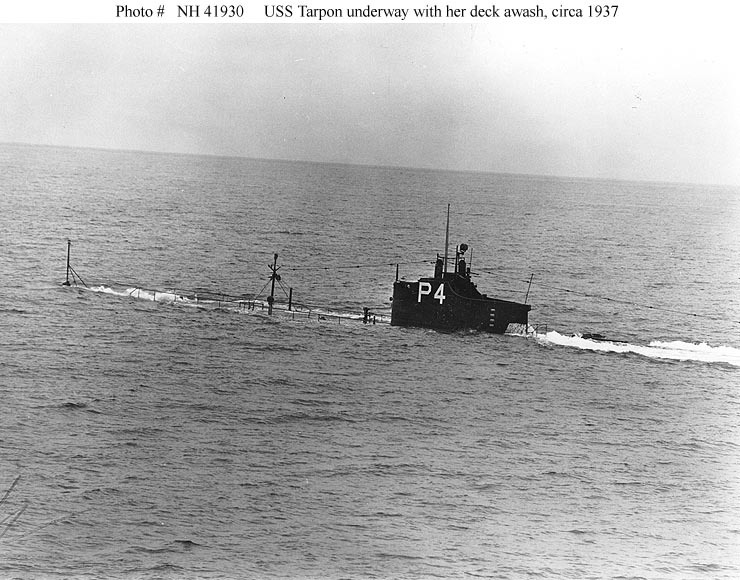 Tarpon (SS-175), marked "P4". NH # 3039, courtesy of U.S. Naval Historical Center. Permit (SS-178). Collection of Jack L. Wheat, who served in Canopus. USN photo # NH 99672, from the collections of the US Naval Historical Center. 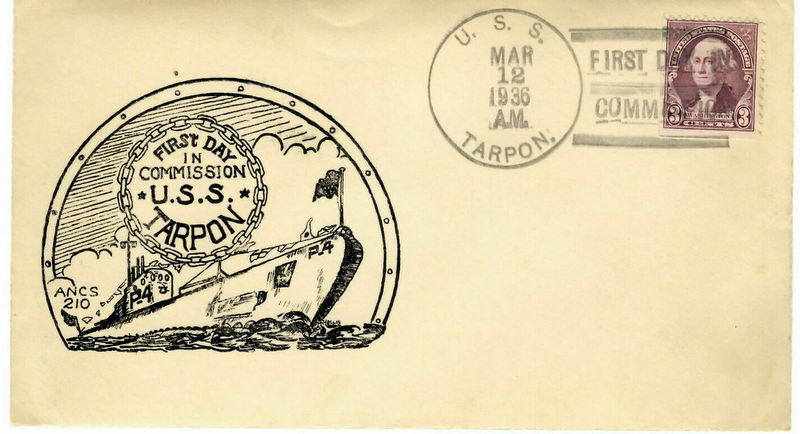 55k Commemorative post mark on the occasion of the Tarpon's (SS-175) first year in commission, 12 March 1937. Courtesy of Jack Treutle (of blessed memory). 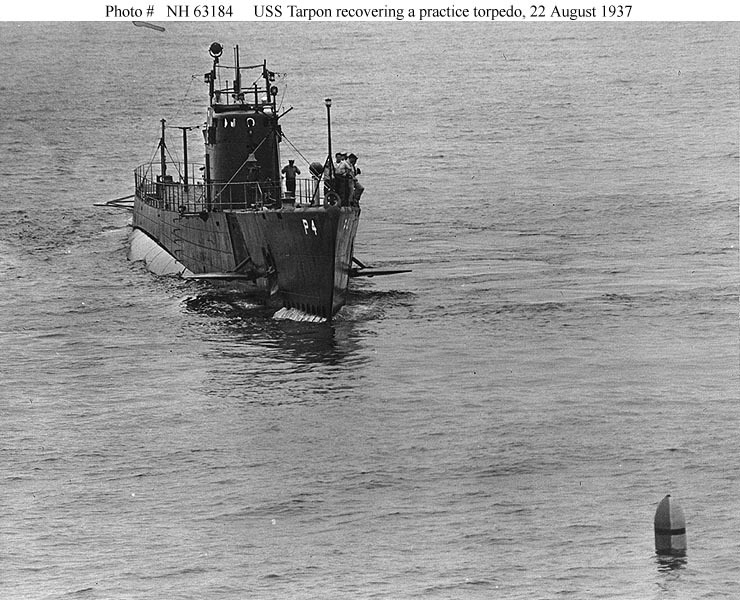 124k Tarpon (SS-175) recovering a practice torpedo, during exercises off San Diego, California, 22 August 1937. OfficialUSN photo USNHC # NH 63184, from the collections of the Naval Historical Center. 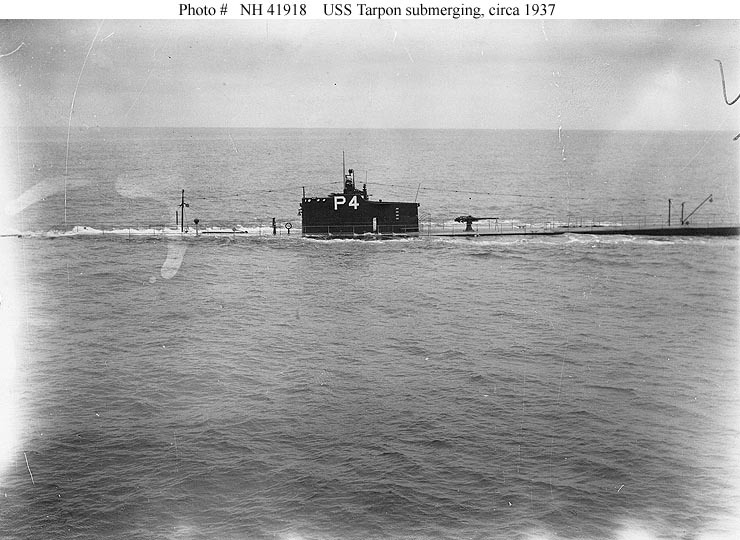 72k Tarpon (SS-175) underway on the surface, circa 1937. Official USN photo USNHC # NH 41924, from the collections of the Naval Historical Center. 78k Tarpon (SS-175) underway on the surface, circa 1937. 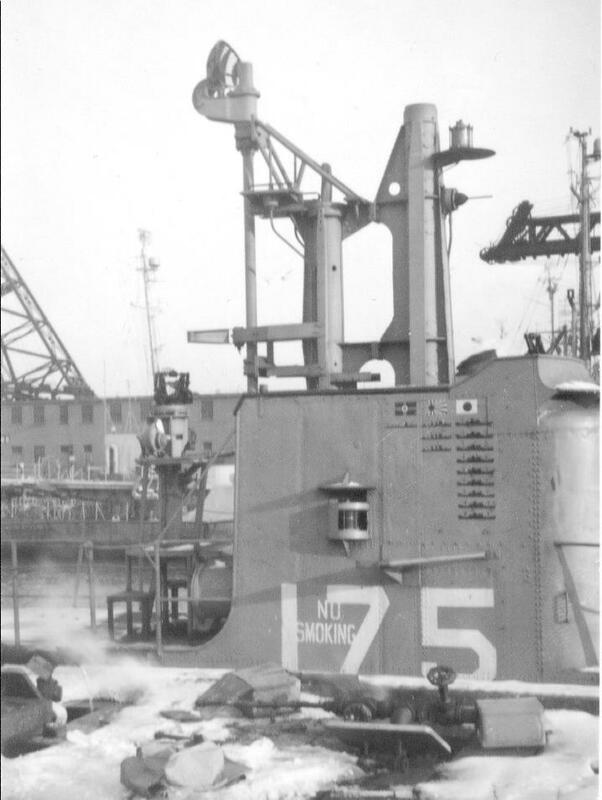 Crewmen appear to be preparing Tarpon to bring her 3"/50 deck gun into action. Official USN photo USNHC # 41928, from the collections of the Naval Historical Center. 91k Tarpon (SS-175) submerging, with her foredeck awash, circa 1937. Official USN photo USNHC # 41918, from the collections of the Naval Historical Center. 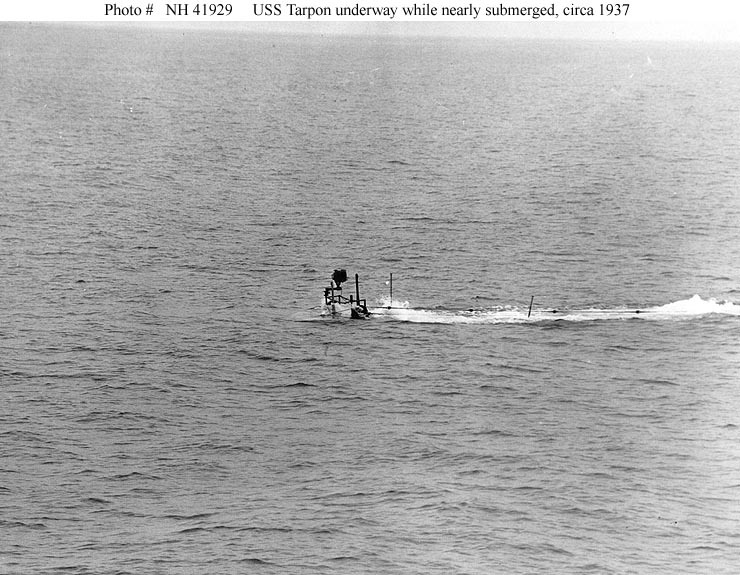 107k Tarpon (SS-175) underway while nearly submerged, circa 1937. Official USN photo USNHC # 41929, from the collections of the Naval Historical Center. 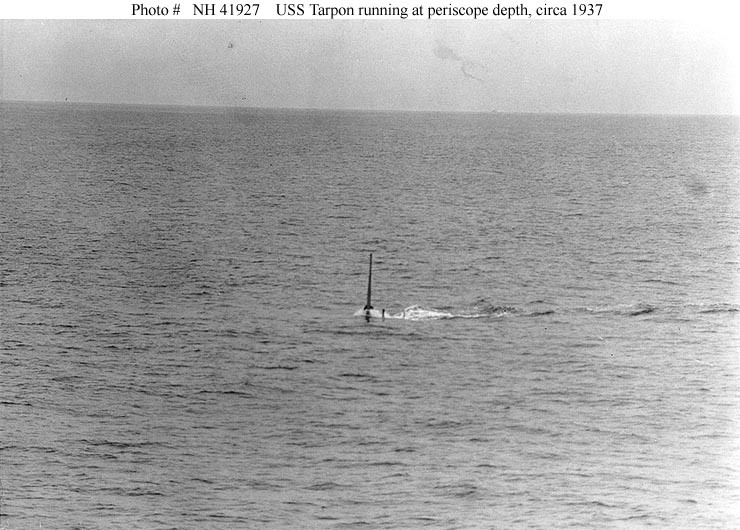 91k Tarpon (SS-175) running submerged, with her periscope extended, circa 1937. Official USN photo USNHC # 41927, from the collections of the Naval Historical Center. 98k Tarpon (SS-175) underway with her deck awash, circa 1937. 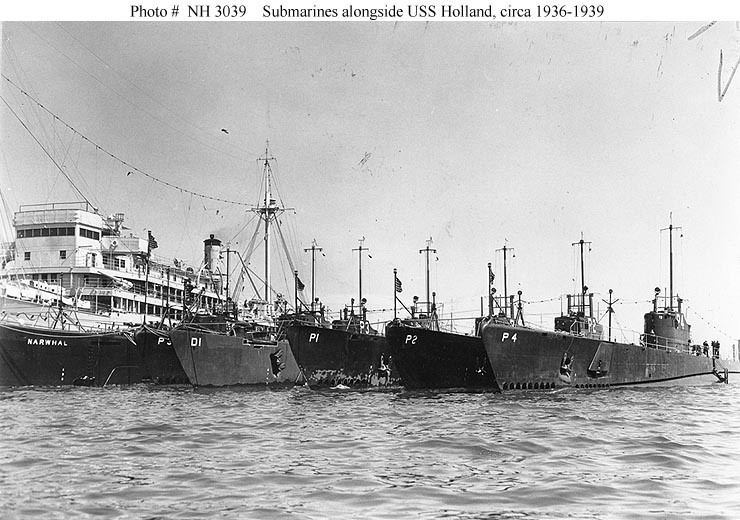 Official USN photo USNHC # 41930, from the collections of the Naval Historical Center. 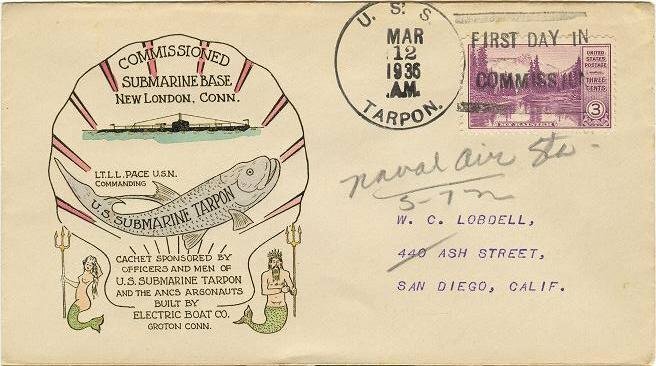 20k Commemorative post mark and photo inset of the Tarpon (SS-175), 6 May 1938. 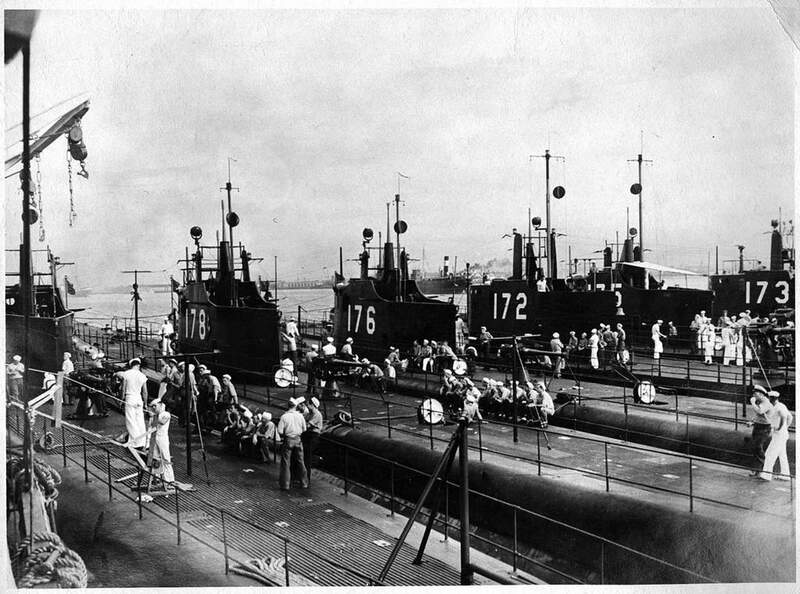 During this time, she operated out of San Diego and Pearl Harbor with Submarine Division (SubDiv) 13 for several years and was then assigned to SubDiv 14. Courtesy of Jack Treutle (of blessed memory). Partial text courtesy of DANFS. 1.60k A Mare Island built 50' motor launch #13174 taken on 25 July 1938 with the Tarpon (SS-175) on the left in dry dock #1 at Mare Island. USN photo # 821-38, courtesy of Darryl L. Baker. 93k Drawing of the Tarpon (SS-175) underway on the surface, circa 1938, with a PBY Catalina overhead. Photo courtesy of Scott Koen & ussnewyork.com. 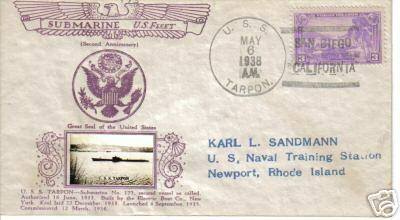 18k Commemorative post mark on the occasion of Xmas day on the Tarpon (SS-175), 25 December 1938. Courtesy of Jack Treutle (of blessed memory). 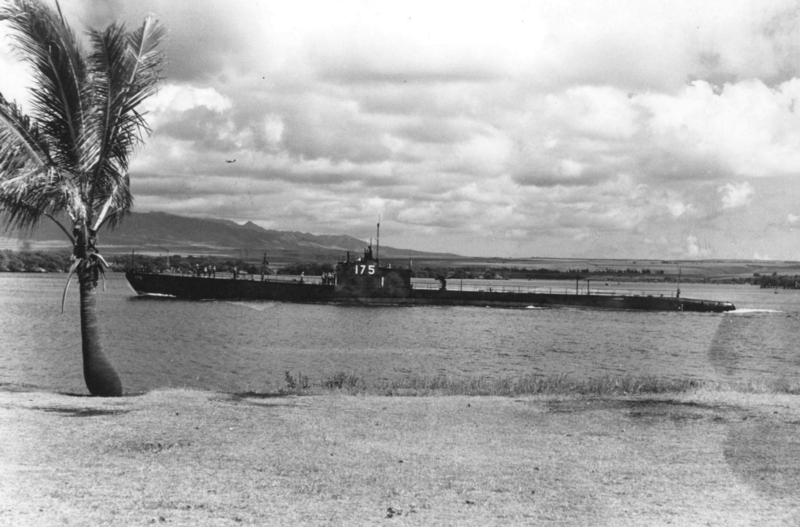 1.30k Tarpon (SS-175) entering Pearl Harbor witht the signature trademark of the photographer Tai Sing Loo's palm tree, circa pre war. USN photo by Tai Sing Loo, courtesy of ussubvetsofworldwarii.org. 140k "Relaxation down below. 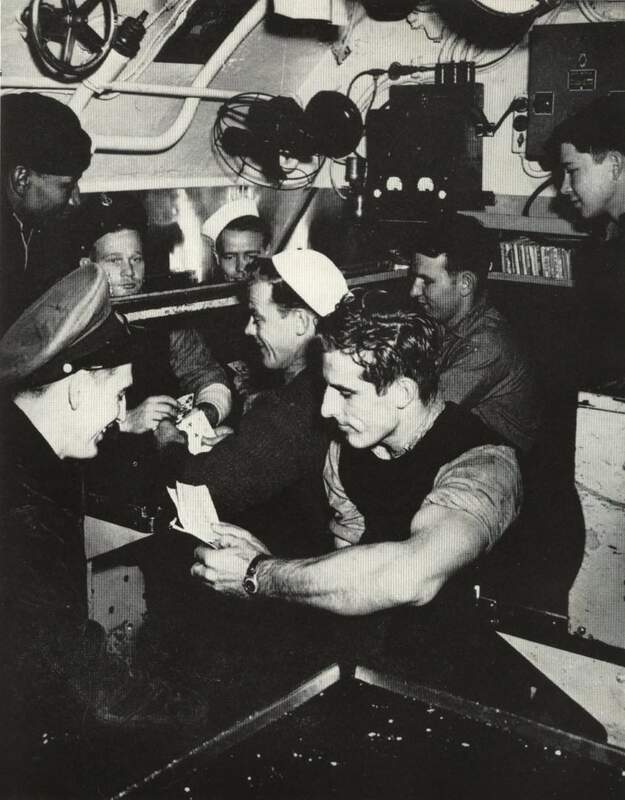 Men off watch in the Tarpon (SS-175) enjoy a breather. All is not work in the pressure hull, where there is elbow room for a game of acey-ducey, a letter from home, some casual banter, or a bit of shut-eye. But "Battle Stations!" could turn the above scene into a blur of motion." Text and photo courtesy of Theodore Roscoe, from his book "U.S. 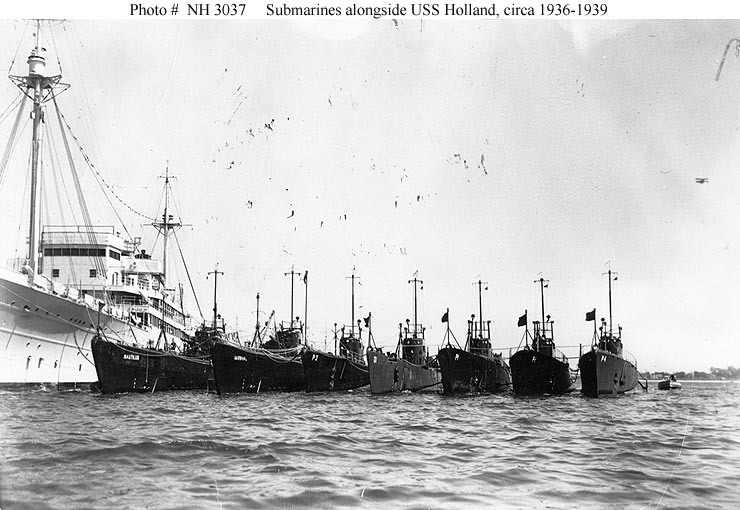 Submarine Operations of WW II", published by USNI. 65k Tarpon (SS-175), possibly circa 1941. USNI / USN photo courtesy of Ric Hedman. 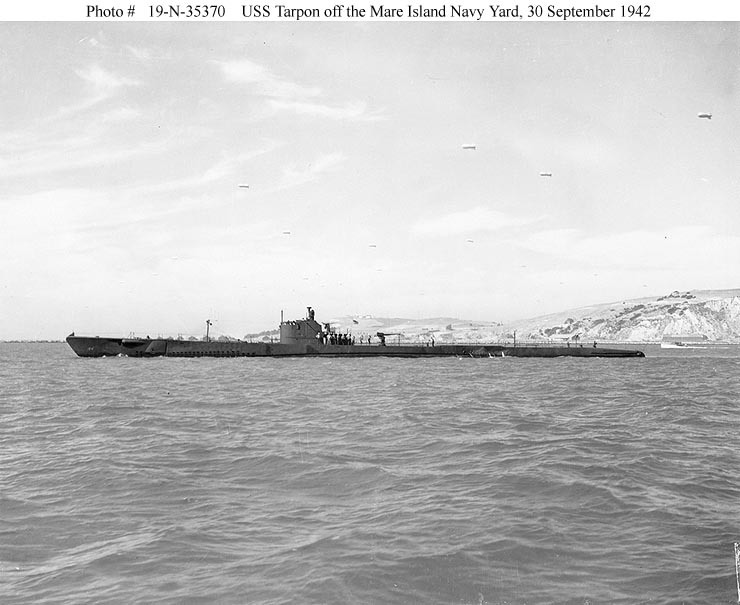 228k The Tarpon (SS-175) is seen off Mare Island on a trial run on 18 September 1942. USN photo # 5750-42, courtesy of Darryl L. Baker. 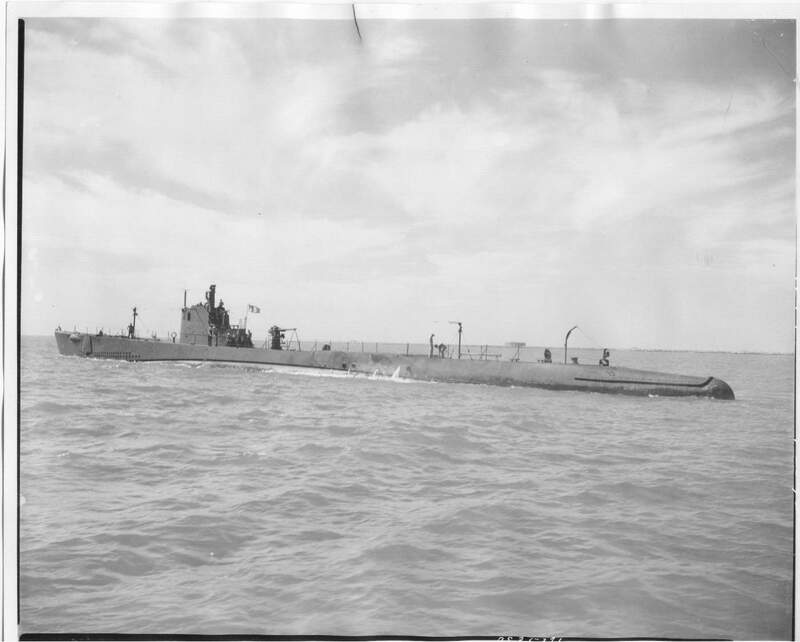 65k Tarpon (SS-175) off the Mare Island Navy Yard, California, at the conclusion of an overhaul, 30 September 1942. Official USN photo USNHC # 19-N-35369, from the collections of the Naval Historical Center. 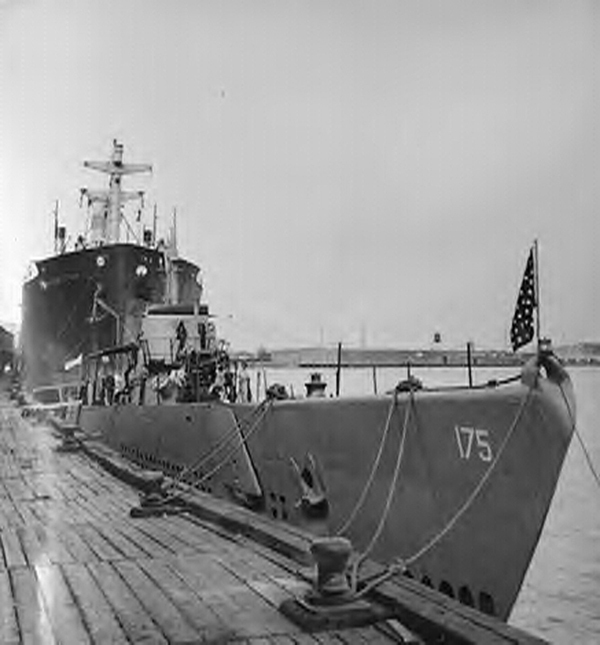 68k Tarpon (SS-175) off the Mare Island Navy Yard, California, at the conclusion of an overhaul, 30 September 1942. Note barrage balloons in the distance. Official USN photo USNHC # 19-N-35370, from the collections of the Naval Historical Center. 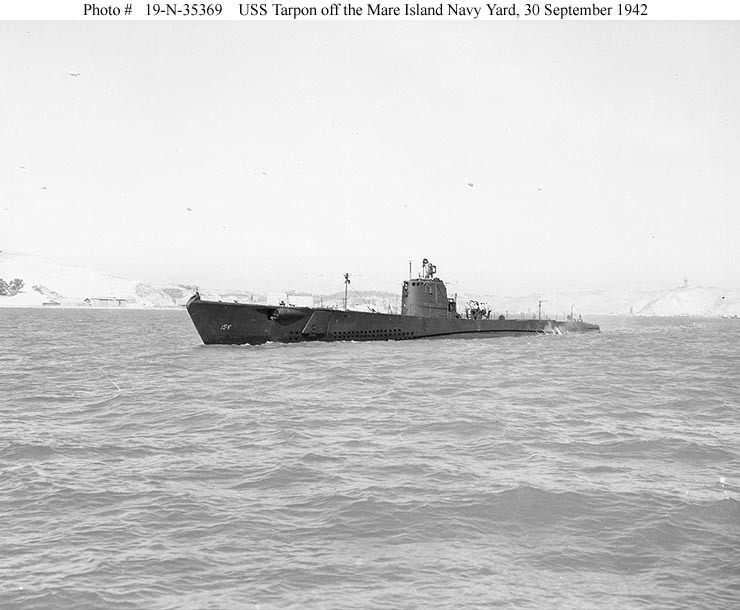 124k Tarpon (SS-175) off the Mare Island Navy Yard, California, at the conclusion of an overhaul, 30 September 1942. Courtesy of John Hummel, USN (Retired). Official USN photo USNHC # 19-N-35371, from the collections of the Naval Historical Center. 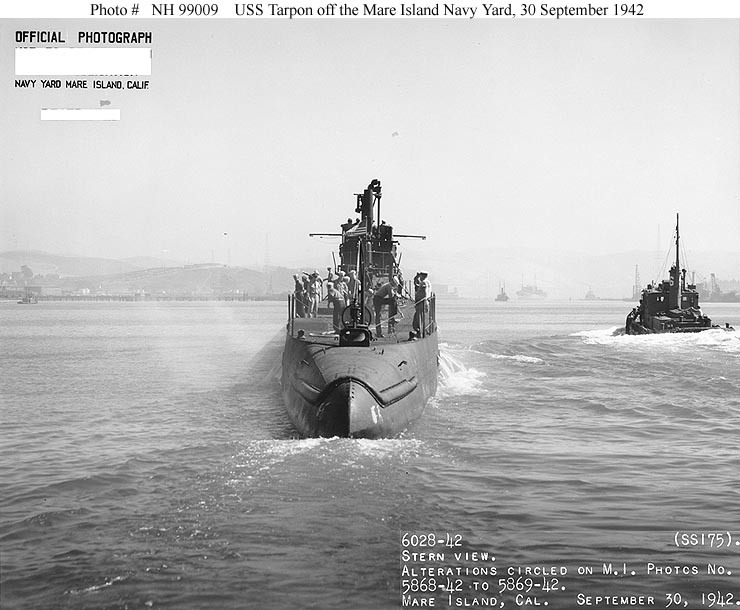 90k Tarpon (SS-175) off the Mare Island Navy Yard, California, at the conclusion of an overhaul, 30 September 1942. Note the two recently installed external bow torpedo tubes. Official USN photo USNHC # 99008, from the collections of the Naval Historical Center. 90k Stern view of the Tarpon (SS-175) off the Mare Island Navy Yard, California, at the conclusion of an overhaul, 30 September 1942. OfficialUSN photo USNHC # 99009, from the collections of the Naval Historical Center. 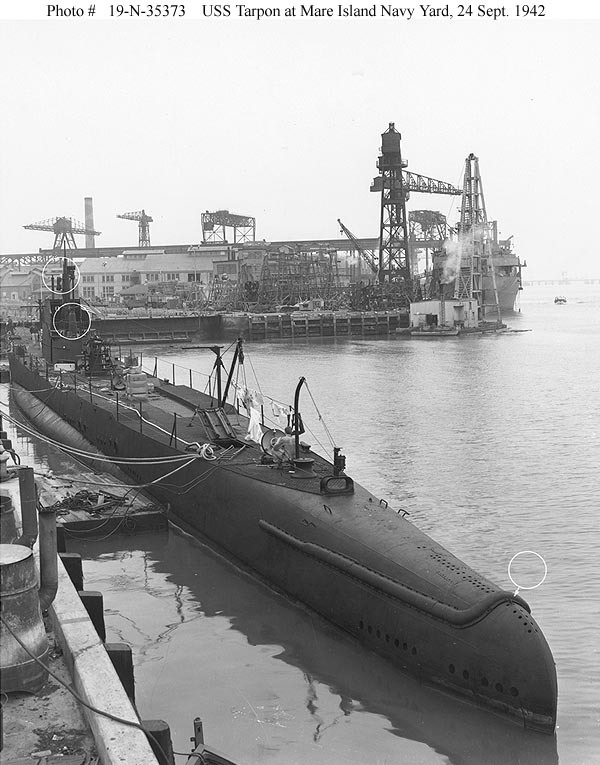 80k Tarpon (SS-175) at the Mare Island Navy Yard, California, at the conclusion of an overhaul, 24 September 1942. Circles mark recent alterations to the ship. Official USN photo USNHC # 19-N-35372, from the collections of the Naval Historical Center. 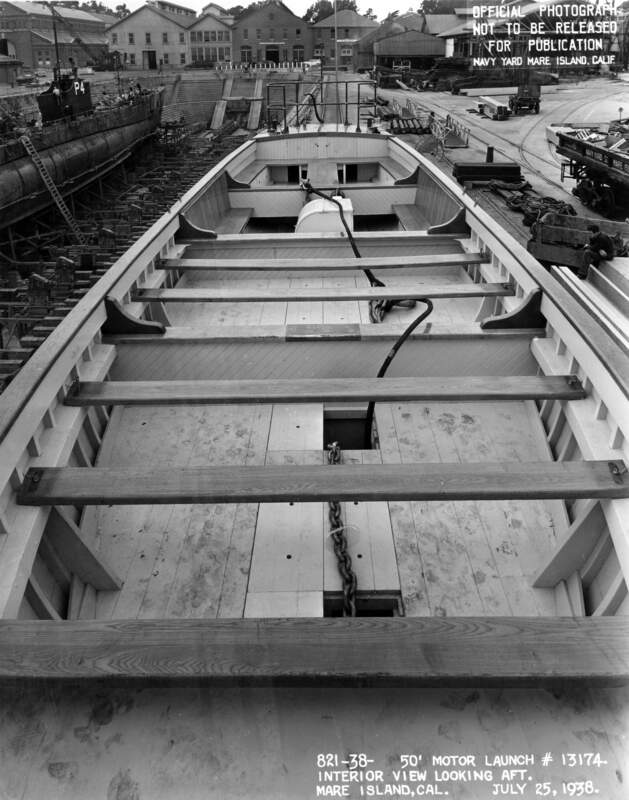 90k Stern view of the Tarpon (SS-175) at the Mare Island Navy Yard, California, at the conclusion of an overhaul, 24 September 1942. Circles mark recent alterations to the ship. Official USN photo USNHC # 19-N-35373, from the collections of the Naval Historical Center. 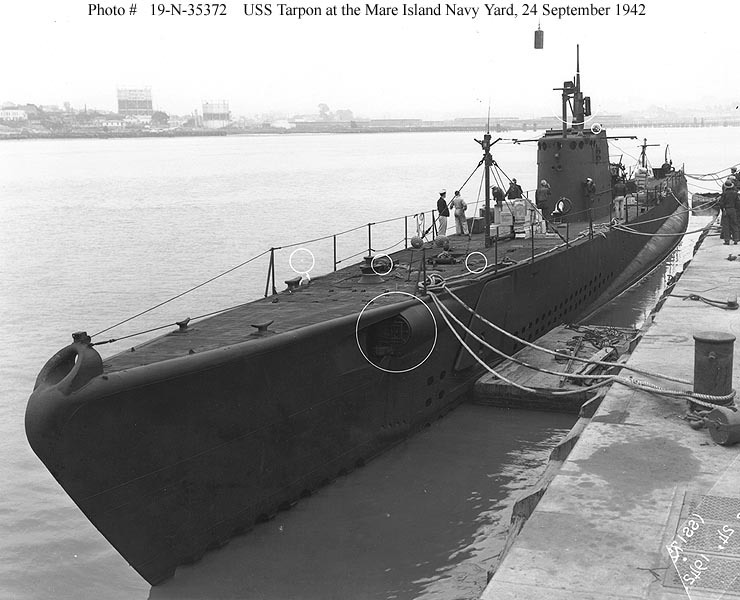 194k Tarpon (SS-175) then returned to Pearl Harbor for a refit and began her next patrol from there on 10 January 1943. Her assigned area was in Japanese home waters, south of Honshu. At 2130 on 1 February, approximately 27 miles south of Mikurashima, the submarine fired four torpedoes at a ship and scored one hit. 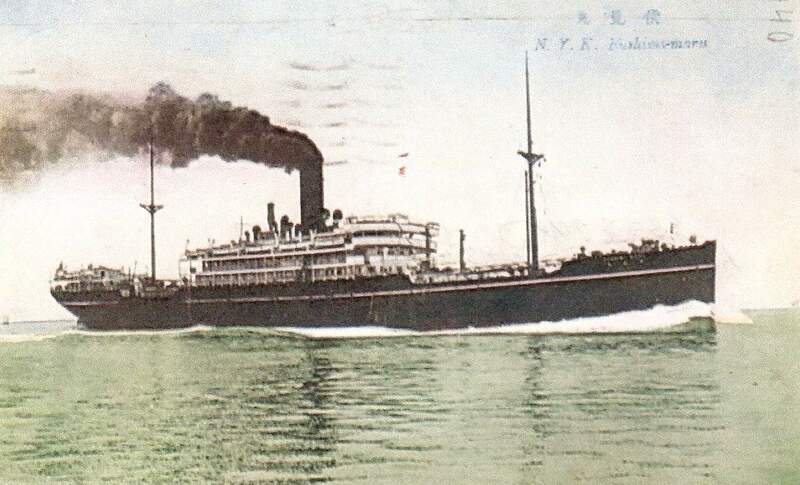 A follow-up attack with two torpedoes broke the 10,935-ton passenger-cargo ship Fushima Maru in two. Text courtesy of DANFS. Photo courtesy of Tommy Trammp. 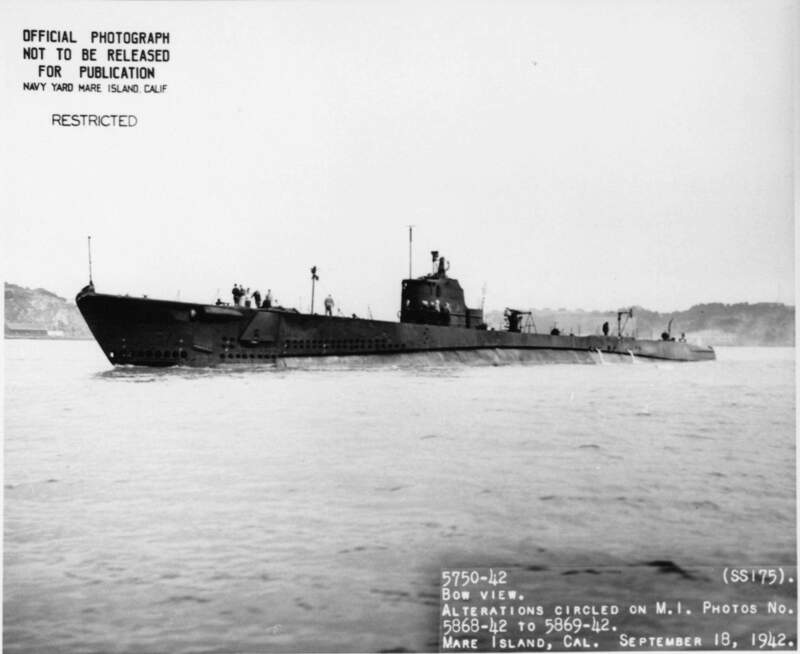 68k Tarpon (SS-175) conducted her ninth war patrol off the coast of Honshu from 1 October to3 November 1943. On the night of 16 October, she was patrolling the approaches to Yokohama when she sighted a ship which she tentatively identified as a large auxiliary. The submarine tracked the target until 0156 the next morning when she attacked it with four torpedoes which stopped it dead in the water. However, it soon got underway again and headed straight for Tarpon. The submarine submerged, went under the ship, and attacked the target from the other side with three more torpedoes which produced one hit in the stern. The enemy still did not sink, so Tarpon fired again with a torpedo which struck the target in the same place as the first. The vessel exploded and disappeared. 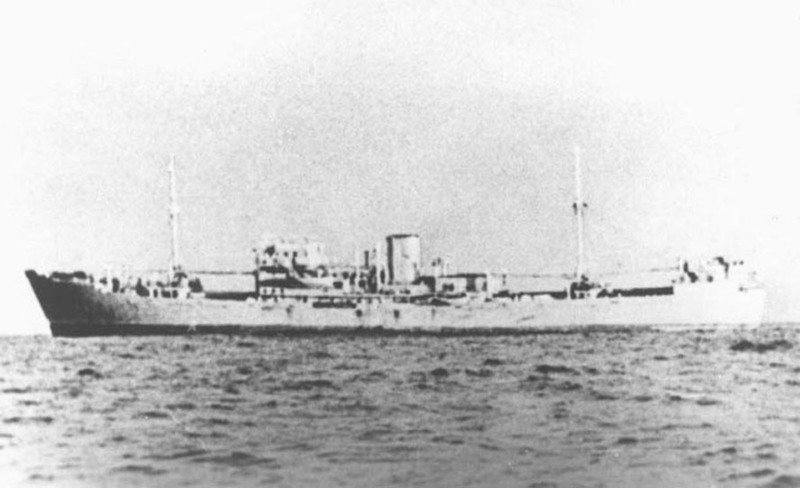 Postwar examination of enemy records revealed that the victim was the German commerce raider Michel, (Shiff-28) which had been preying on Allied shipping in both the Atlantic and the Pacific. Michel was the first German raider sunk by a United States submarine in the Pacific. Text courtesy of DANFS. 65k Tarpon (SS-175), possibly circa 1941. USNI / USN photo. 29k Conning tower of Tarpon (SS-175), at South Boston Navy Yard, circa 15 November 1945 to 4 February 1946. 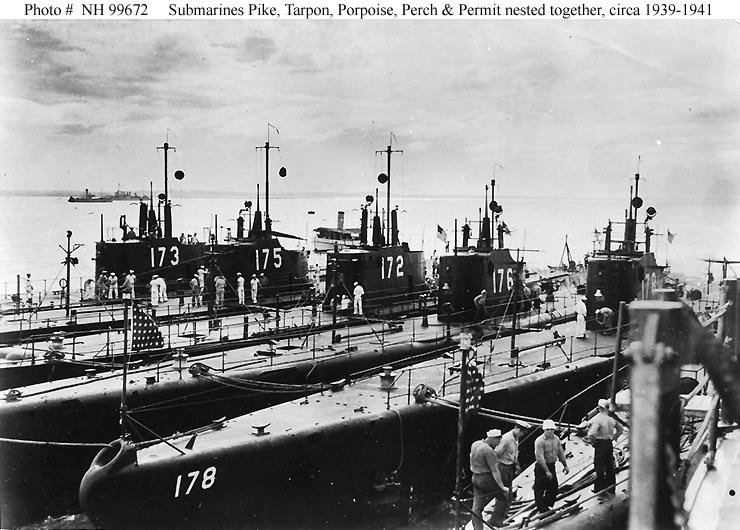 This photo clearly shows Tarpon's World War II record of enemy vessels sunk. 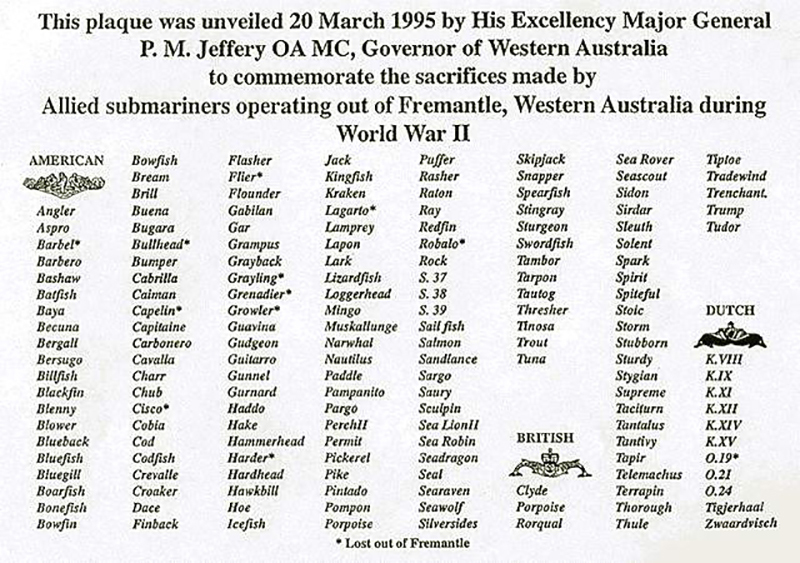 Note she sank one German warship in addition to 12 Japanese ships. Photo by Vincent Grobbel, BM1, USCG, Davenport (PF-69), courtesy of Mike Grobbel. 22k Photo composite of the pressure hull from the stern to just aft of the conning tower of the Tarpon (SS-175) off the North Carolina coast in about 140 feet of water. Photo by nc-wreckdiving.com. & Paul M. Hudy.